Back home and figured this was an appropriate segue to getting back into things. A classic song from a great story-teller. 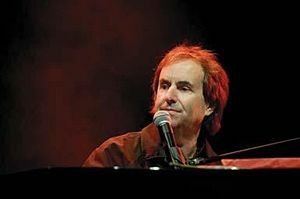 Chris De Burgh released this song a long, long time ago and now that I have experienced the Spanish train system firsthand……it is fitting. This entry was posted in Classic Rock and tagged Chris de Burgh, Classic Rock, Music. Bookmark the permalink. But I loved the song. Figured you’d like it. Wheelhouse thing. Mid 70’s guy. Saw him in concert back in the day. Played for 3 hours or so. Multiple encores. One of the best concerts I was ever at.